Four years ago as of yesterday, Matt and I moved in together to a one bedroom apartment in San Jose. Then, as is true now, our work schedules differed, so some of the tasks such as choosing the color for our accent walls, fell to him as he was there at a time when I was still working. We had debated a set called the blues and a red orange set whose name I cannot recall and he ended up choosing the latter which sort of looks like SF Giants orange in some photos and more red in others. 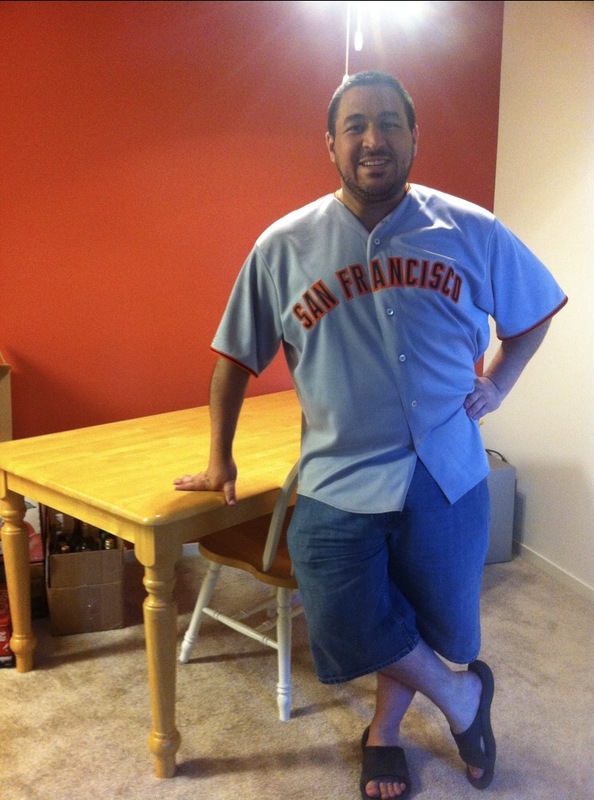 Here’s Matt on our move in day with our dining room table which we still have and use. Matt was responsible for diving the moving truck which gathered our possessions from our soon to be former places of residence. When he went to return the truck I had him snap this photo of me. 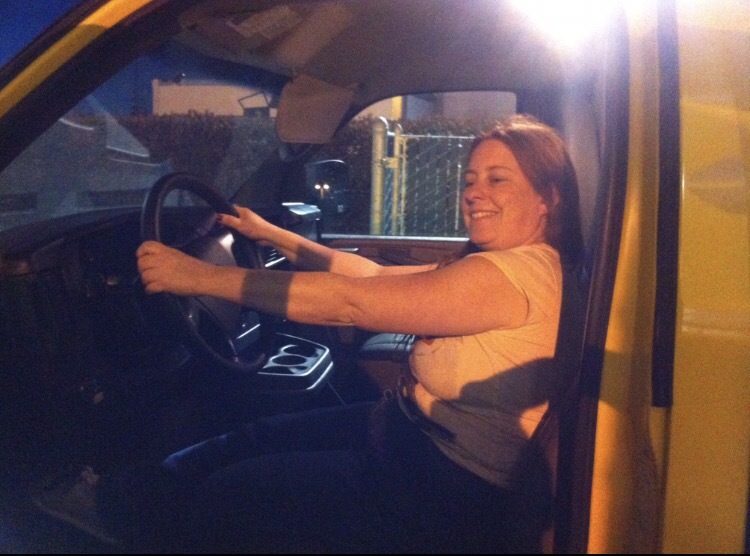 As I’m petite, I’m not even sure I could safely drive this truck, yet I wanted this staged photo. It never fails to amaze me where in our place Inky will choose to lounge. 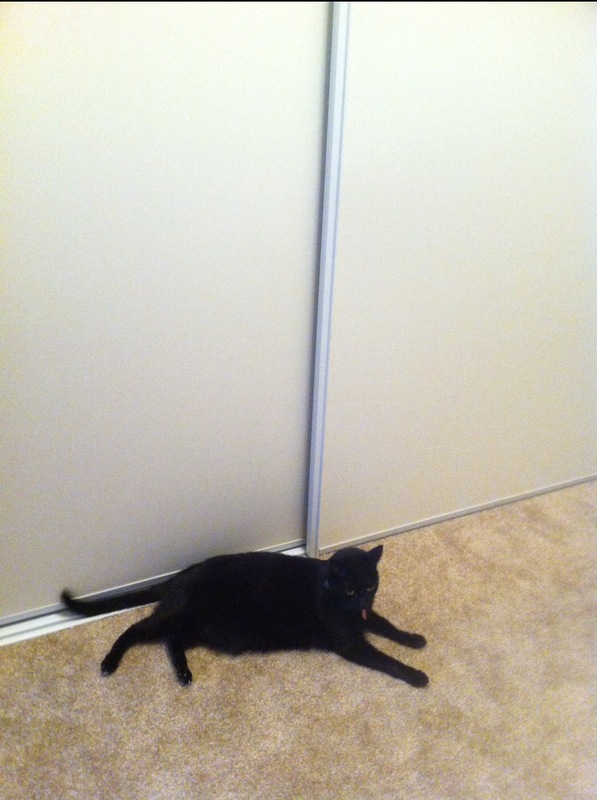 Here she is guarding our closet. She’s actually fascinated with our closet and if we forget to close one of the doors, it’s a sure bet she will sneak in to hang out with the contents. 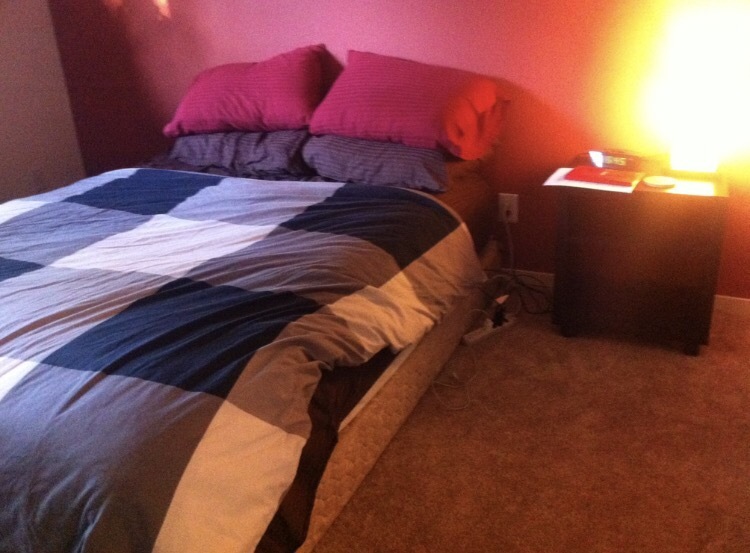 One thing that has changed is the colors for our bedding. This was the first set that we used for a long time. We now use a blue and white set, each of it part of our wedding gifts. Ironically, these colors would be those we’ve chosen for our baby’s things (though the stuff for him or her is whale centric). We’re still in the same apartment for now, having signed a lease to lease agreement. At some point after the baby is born, we’ll be looking for a two bedroom, most likely in the same complex. I do hope it’s the same as I like this place a lot, though, perhaps it won’t be, one of the many changes our baby will bring into our lives.